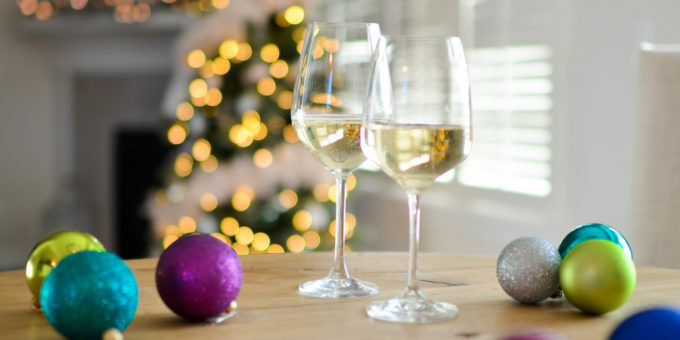 While I personally find the holiday season festive and fun, I also realize it’s a difficult time for a lot of people–beyond the self-imposed stressors of the season to decorate and bake and entertain, some people are lonely, missing loved ones, or struggling with mental illness or even heightened anxiety during the season. It can be a rough time to navigate, so here are a few reminders to help you through the remainder of the season all the way to the New Year and beyond. 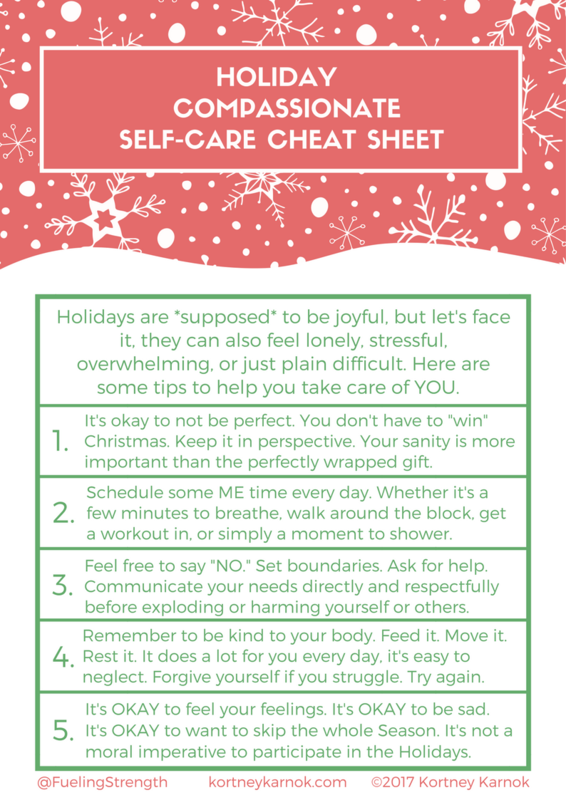 Feel free to download and share the Holiday Compassionate Self-Care Cheat Sheet here.